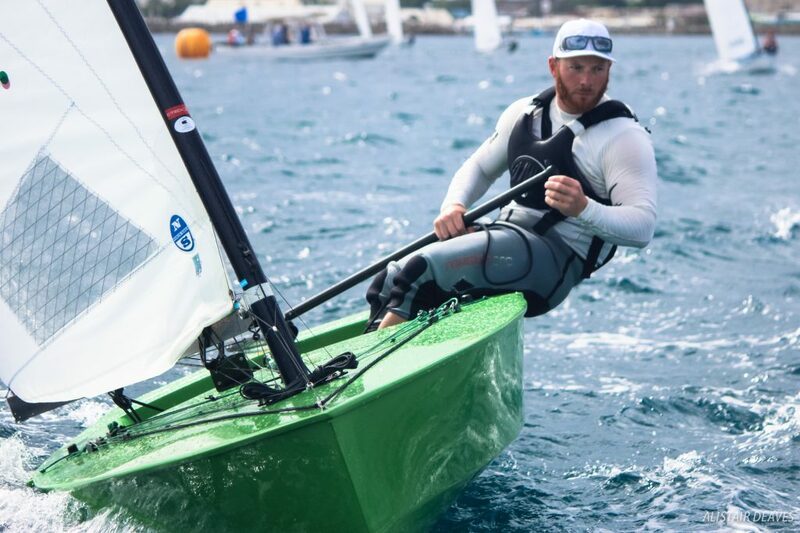 Four time OK Dinghy world champion Nick Craig of Great Britain got off to the perfect start at the 2017 World Championship in Barbados with two races wins on a challenging day in Carlisle Bay. 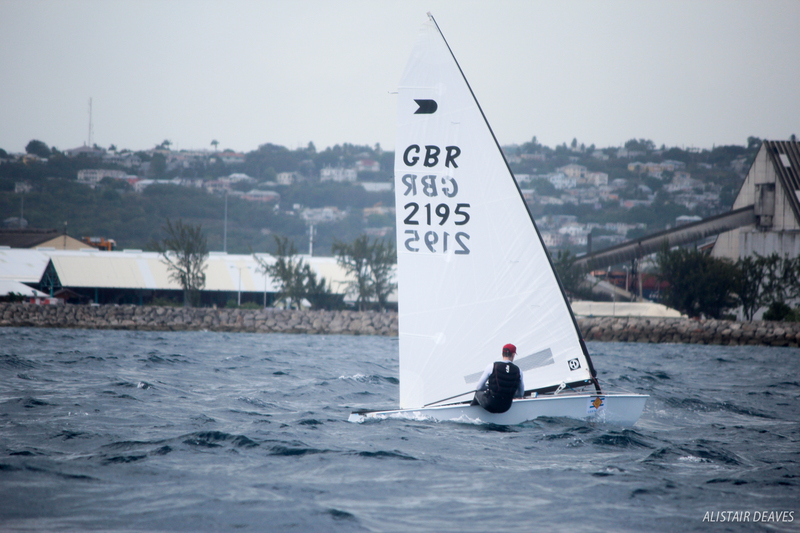 Luke O’Connell from New Zealand is second while defending champion Jim Hunt from Great Britain is third. The 79 competitors from eight nations shook off the dust from last night’s opening ceremony for two challenging and tough races in winds from 10-22 knots with an unstable wind keeping the fleet on its toes all day. Race 1 got away first time with the wind in a left phase with a rain cloud passing by, with the majority of the fleet tacking straight onto port with the wind at 15-18 knots. Craig led around the top mark with O’Connell chasing hard, but Craig had the speed and led at every mark for the win, while Hunt passed O’Connell to take second. The black flag was out for Race 2 with no one over on the second attempt. It was the same three up the front with Craig again taking the lead from O’Connell, while Hunt came through later in the race to take third. At the times the wind went light and the right was favoured but on the final upwind the left came in again and strengthened to the windiest of the day at 20-23 knots. Luckily it was a short sail through the warm, turquoise Caribbean waters to the shore, where cold beers, cold rum, and another rain shower awaited the happy fleet. Chris Turner, also from Great Britain, is doing well at his first ever OK Dinghy event, sitting in sixth overall. The fun continues on Sunday with two more races from 12.30. The 2017 OK Dinghy World Championship consists of 10 races and concludes on Wednesday 31 May.